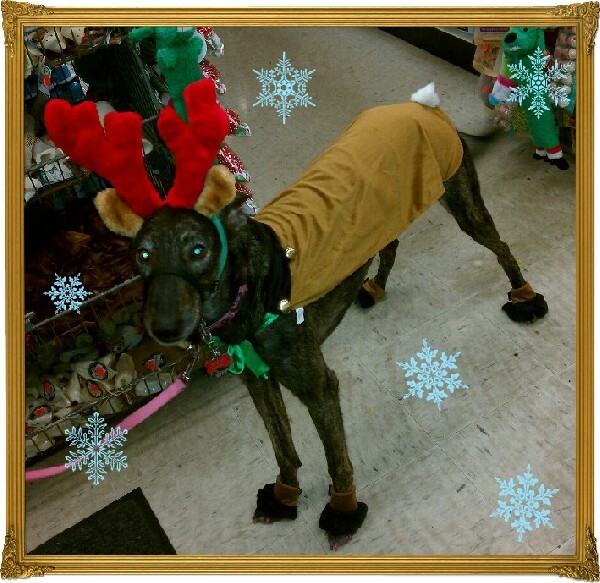 Description: This was my baby girl all dressed up and ready for Christmas! While attending a fundraiser for the shelter from which she was adopted, she reminded fellow animal lovers why shelter owners do what they do! Thanks to them, I had an amazing Christmas day with my baby girl, Leena!